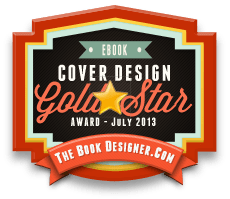 I am very proud to announce that the cover of The Butterfly Collector, designed by Alex Dickson, has won a Gold Star in the July 2013 e-book Cover Awards from The Book Designer. Looks like he has a great career ahead of him. This cover is instantly recognizable, detailed in a simple layout, with a bit of surrealism thrown in. A beautiful ebook cover.